Kazzinc is a major fully integrated zinc producer with considerable copper, precious metals and lead credits. Kazzinc’s core operations are in East-Kazakhstan, Akmola and Karagandy regions of Kazakhstan. The company was established in 1997 through the merger of East Kazakhstan’s three main non-ferrous metal companies: Ust-Kamenogorsk Lead and Zinc Complex, Leninogorsk Polymetallic Complex and Zyryanovsk Lead Complex. All three producers were majority-owned by the Government of Kazakhstan. The controlling block of shares in Kazzinc has been sold to the private sector and Glencore International AG became the company’s main investor. In the years since its creation, Kazzinc has significantly increased production capacity and output. The company continues to develop seeking to gain its stable position among the world’s top five zinc producers with the lowest production cost. 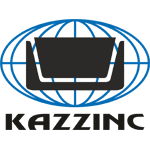 Kazzinc developed and introduced the integrated quality, HSE and energy management systems covering the complete non-ferrous metals production cycle: from ore mining to ore treatment with production of refined metals; ancillary facilities supporting the production processes and providing infrastructure, transportation, resources, as well as waste disposal capabilities. Kazzinc follows a trajectory of social development of the towns where its operations are located, invests worthy causes and actively introduces innovative technologies to become one of digital leaders in Kazakhstan.